Roy, Calvin and Warnie discuss rucks and catch up with Wil from The Smith Street Band. One of the biggest questions this pre-season involves which ruckmen should make their way into your AFL Fantasy Classic team. Over the last few years the top two ruckmen from the previous season haven’t backed it up. 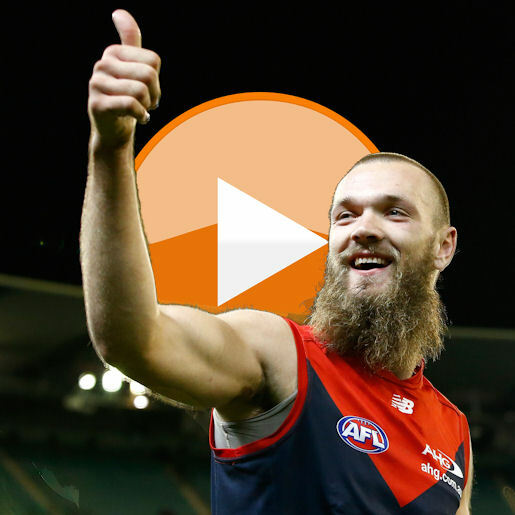 Will Max Gawn be the man again? Does Brodie Grundy start 2017 how he finished last year? Or do we see Stefan Martin and Todd Goldstein bounce back? Roy, Calvin and Warnie discuss different structures for your ruck line up and how best to spend your cash. Who is burning up the track and training the house down. A look at Roy’s team and his tips in selecting your squad. Wil Wagner from The Smith Street Band discusses his Fantasy Classic team. Fantasy question time from social media. What to expect in the Fantasy edition of the AFL Record (available from February 10). MOST IMPORTANT QUESTION FOR THE SEASON – Where is the 2017 App? Perhaps you could add Simon Prestigiacoma into that already solid looking defence! Yeah I noticed the lack of Collingwood players as well. 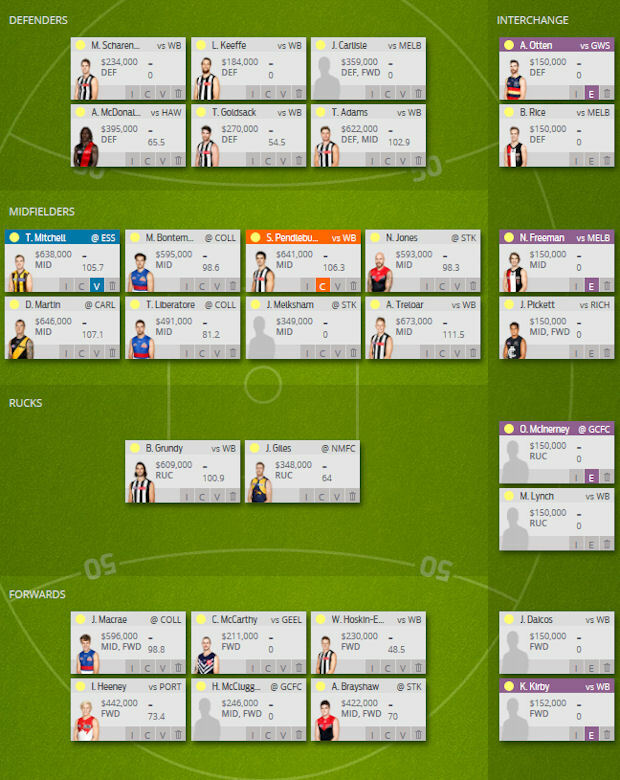 Thought on putting Ryder in Forward Line and having Cameron on Bench in the Ruck, as they are both DPP’s. Plus how mucj $$$$$$ is good to have left over after we finalise Teams. Well at least I am not coming last!